Thinking of adding a deck? How about replacing the tired, worn siding on your house? Now that the weather is colder, it’s the perfect time to curl up with a hot beverage and start planning your 2019 home projects so you can nail the budget and settle on the look you’re after. 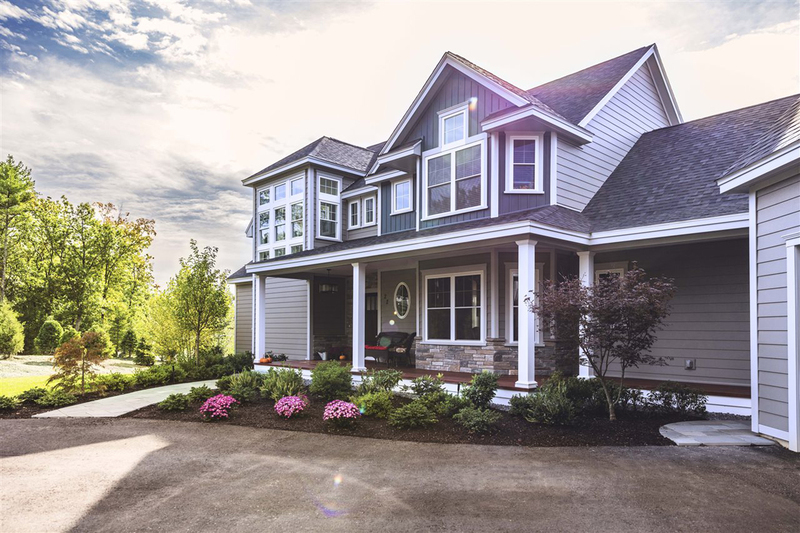 Swint shares these insights and tips that will help you get inspired and plan your exterior home projects in 2019. When someone suggests a neutral tone for your exterior, do you think boring beige and tepid taupe? When it comes to vinyl siding, you may be pleasantly surprised to discover there’s a broad range of color and style choices to meet your taste and design preferences, including soft grays, bolder mid-tone blues and warm earth-toned terra cottas. If you need help planning your home’s new look, the HomePlay design tool from Royal Building Products lets you experiment with different colors and siding profiles. To get started, visit HomePlaybyRoyal.com. If you’ve decided this year is the year to add a deck or a patio, don’t settle for an uninspired open-air platform. Today’s designers are remaking the deck concept altogether by bringing traditionally “indoor” amenities outside. Rugs, arbors and high-design furniture will turn your deck into an outdoor living room. By adding a fire pit, portable furnace or heater, you and your family can spend time on the deck year-round. For a finishing touch, a floor-to-ceiling sliding glass door not only brings in more sunlight and natural views, it creates a seamless transition between inside and outside. But a great deck starts with high-quality materials, because the last thing you want is to spend excessive time and money on routine maintenance. 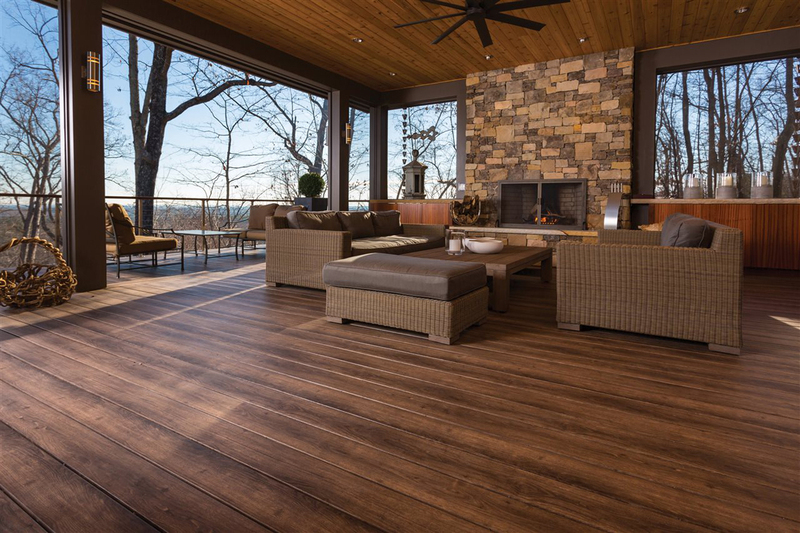 Instead of using natural wood, opt for a premium composite decking, such as Zuri Premium Decking, that combines the natural beauty of exotic hardwood with the unsurpassed and exceptionally low-maintenance requirements of composite materials. If you’re interested in learning more, visit zuri.royalbuildingproducts.com. Home is where the heart is, right? So it makes perfect sense to make it into a space where self-care is a priority. That’s why wellness and mindfulness have become huge influences in interior and exterior spaces, Swint says. To turn your backyard into a retreat space, consider amenities like water features, zen gardens or even a shaded reading nook. Garages and sheds can be more than a storage space for your lawnmower and tools. These four walls hold many other possibilities, and homeowners have come up with creative, free-time-oriented uses for these simple backyard structures. The options are only limited by your imagination: backyard bar, outdoor shower, or the classic she-shed or man cave. You can even make it into a home office for those telecommuting days. To dress up a plain shed, Swint says, add siding with complementary trim, windows (and flower boxes), finished with a sleek glass door.